Happy Super Bowl Sunday! I’ll be cheering for the team formerly known as the… St. Louis Rams! I hope you enjoyed the balmy weather this weekend and were able to thaw out after last week’s arctic blast. Hopefully, the groundhog’s prediction was right this weekend, and spring will arrive early this year. Barring any unforeseen circumstances, it will be nice to have a full uninterrupted week of school. It will be a busy week around our Fine Fine School. Thanks for your patience and understanding regarding the reschedule of our annual Science Expo. I look forward to seeing all the creative projects of our kids on display tomorrow. Don’t forget families/students can set up projects between 7:30-8:20 tomorrow morning. The expo will run from 6:30-7:30 tomorrow evening. Please continue to spread the word to any 2019-20 Kindergarten families about our annual Kindergarten Information night this Wednesday, February 6 at 6:30. It is a great opportunity for potential new families to learn about the Kindergarten experience in D90. Our incredible Kindergarten team Ms. Stasys and Ms. Suzuki will be joining me in the presentation. As always, thanks for your continued support of our Fine, Fine School. Please never hesitate to reach out if there is anything I can do for your family. Enjoy the week ahead. All week 4th grade CoGAT testing. Jr. Scientist Expo MONDAY NIGHT! The science expo has been rescheduled for Monday night 6:30 – 7:30pm. There will be two opportunities to set up Expo displays: immediately before school on Monday, February 4 (7:30 – 8:20) or immediately before the expo on Monday, February 4 (3:20 – 6:10). Each display will be assigned a hallway location number that will be communicated to parents/guardians of registered Jr. Scientists before the 31st. As a reminder, the area for each display will be approximately the width of the display board, there is no access to electrical outlets and there will be limited area in front of the display for any supporting material. Lincoln International Festival – Spots Going Fast! Register your child for International Festival on February 24. Lincoln School will be transformed into countries around the world for one special afternoon! Lincoln students can spend 4 hours traveling to China, India and beyond, dancing, crafting and having fun. Admission will remain $5 per child and will be limited to the first 100 students. Registration is now open on the PTO Webstore! 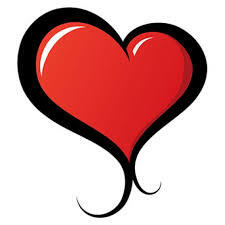 Our annual Valentine/Friendship Parties will take place on Thursday, February 14 during the day. Students are invited to bring in Valentines to share with their classmates. Please make sure all students are included when creating Valentines. Also, please note for the safety of all students that NO CANDY should be included with Valentines. Any candy sent to school will not be distributed. Thanks for your support in making this celebration safe and inclusive for all of our kids. 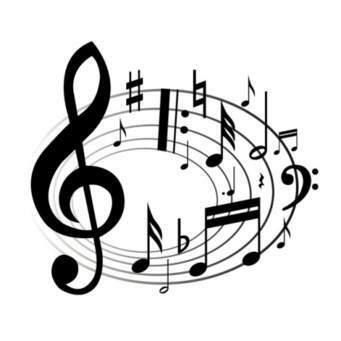 In addition, on February 14, both Kindergarten classes will attend during the AM session and the annual Kindergarten Valentine Concert will be held at 10:00am with a reception to follow in the gym. Once again the PTO will be providing all the snacks for Valentine’s Day parties. No other food or candy should be brought in for parties. PTO Meeting Please Join Us! Please join us for this month’s PTO meeting on Monday at 8:45 in the art room. All are welcome. Please begin spreading the word about our annual Kindergarten Information Night for the 2019-2020 academic year on Wednesday, February 6. See attached for more details. Our American Heart Association representative joined us at school to talk with our students about the work the AHA does and to challenge our students to start living a healthy lifestyle. With the help of our friends, the HEART HEROES, our school is going to help fight Heart Disease! The event will be in grades 1-4 P.E. classes on February 12th and 13th. All of our Heart Heroes have a special message they are teaching the students about heart health. Make sure you ask your student what they learned from their new friends! Let’s get started! ANY student who takes the KIDS HEART CHALLENGE online will earn a free glow-in-the-dark wristband to wear proudly! Then, once your student collects $5 or more in donations they will start earning their own Heart Heroes and a backpack clip for them to hang on! OR Download the FREE mobile app ‘Kids Heart Challenge’ and register your student that way! Plus, ALL of our Heart Heroes (and the wristband!) will COME TO LIFE and share their heart healthy messages with your student when you use the FREE mobile app. Thank you for joining us as we challenge each other to keep our heart healthy and raise money for kids with special hearts. For more information, watch this video with your student at home! Lincoln School’s Girls on the Run – registration now open! Girls on the Run inspires girls to recognize their inner strength and celebrate what makes them one of a kind. Trained coaches lead small teams through our research-based curricula which includes dynamic discussions, activities and running games. Over the course of the ten-week program, girls in 3rd and 4th grade develop essential skills to help them navigate their worlds and establish a lifetime appreciation for health and fitness. The program culminates with girls positively impacting their communities through a service project and being physically and emotionally prepared to complete a celebratory 5K event. GOTR will begin in March and meet every Tuesday and Thursday after school in the gym from 3:10-4:30. The program will run until the celebratory 5k race! If interested, please visit the website: www.gotrchicago.org and register by February 14. Any questions, please contact Kristin Bailitz at kristinbailitz@gmail.com. Please join us Friday, March 15 from 6:30-9pm at Lake Street Kitchen in Oak Park for Lincoln’s annual school fundraiser and auction to support the Lincoln PTO and celebrate our awesome school, staff and kids. We will have a great selection of craft beers, wine and heavy hors d’oeuvres. Come early for the open bar from 6:30-8:30pm. Cash bar from 8:30-9pm. There will also be a live and silent auction to benefit our Fine, Fine School. All proceeds from the event will help support PTO funded programs, school enhancements, and various other teacher needs. Don’t worry – March Madness will be playing on TV! Ticket prices are $60 per person or $100 per couple (purchase by midnight on 3/14/2019). Tickets can be purchased the day of the event or at the door for $75 each. Click HERE to purchase tickets – don’t wait! I hope you had a great weekend and were able to stay inside and cozy during this frigid weather pattern we seem to be in. Despite the cold weather outside, things are warm and busy inside our Fine Fine School. I look forward to seeing many of you on Thursday evening for our annual Science Expo. Thanks to the combined efforts of Steve Lefko, Stan Sneeringer and committee, this year’s event will be our biggest yet! It is hard to believe it is time to begin thinking of spring parent/teacher conferences. Sign-up for spring conferences begins on Tuesday, January 29. Be on the lookout for a message from D90 detailing instructions for signing up. As a reminder, during the unpredictable Chicago winter, we make every provision to ensure our kids are safe. On days when the wind chill “real-feel” is below 10 degrees, students line up inside in the morning and we hold indoor recess. As previously shared, we utilize the Weather Bug station located at Roosevelt Middle School. The Weather Bug app is available via iTunes or Google Play store. The attached article from the New York Times came across my desk last week. As I read this short article thoughts of our Fine Fine School came to mind. As important as academic instruction and rigor are the social emotional needs of our kids. So I found this article and its simple yet powerful message to be extremely relevant – enjoy the read. Finally, please don’t forget to take a moment to participate in the Illinois 5 Essentials survey. Lincoln currently has a 3% participation rate among families. We are in need of at least 20% participation for your important feedback to be included on our annual Illinois School Report Card. Here is the link that will guide you to the survey. Lincoln International Festival – register now! Please save the date for Lincoln’s International Festival on February 24. Lincoln School will be transformed into countries around the world for one special afternoon! Lincoln students can spend 4 hours traveling to China, India and beyond, dancing, crafting and having fun. Admission will remain $5 per child and will be limited to the first 120 students. Registration is now open on the PTO Webstore! App Development and Coding Club – registration opens today! 3rd and 4th graders who are interested in creating their own app are encouraged to join our App Development Club! Students will be coding with Swift Playgrounds and they will use the design cycle to create and refine their app prototype in Keynote. We will meet Thursdays during lunch, students should bring their iPad and nut free lunch to Mrs. Mares’s room. To maximize the experience for all kids, this club will be capped at 25 students. If you have questions, please email Mrs. Clasky, claskya@district90.org. Registration opens TODAY on the PTO Webstore! Green4Good Kids – invitation to ALL 3rd and 4th Graders, Monday, 1/28! Trash Talk: We put it in the bins, the trucks pick it up, but WHERE DOES ALL OUR TRASH and RECYCLING and COMPOST GO?? George Strom from the Roy Strom Company will be at our next Green4Good Kids Club meeting to answer these questions and more! Green4Good Kids Club would like to invite ALL 3rd and 4th Graders to join us. And parents, you’re welcome to come, too. Tomorrow, January 28 from 3:15-4:00pm in the Lincoln Auditorium. Lou Malnati’s – eat & earn THIS WEDNESDAY, 1/30, 11am-11pm! During this event, Lou Malnati’s (Oak Park) will donate 20% of total sales to the Lincoln School PTO! This includes dine-in, carry-out, and delivery (within the zone), please see this flyer for details! Please note: the eat and earn promotion MUST be mentioned or shown during time of order for it to be applied! There will be two opportunities to set up Expo displays: immediately after school on Wednesday January 30th (3:15-3:30) or immediately before school on Thursday January 31st (7:55 – 8:10). Each display will be assigned a hallway location number that will be communicated to parents/guardians of registered Jr. Scientists before the 31st. As a reminder, the area for each display will be approximately the width of the display board, there is no access to electrical outlets and there will be limited area in front of the display for any supporting material. Topic: What can parents do to help their children develop Executive Function skills? Dr. Bozeday will present an overview of current research from neuroscience describing the impact of the 21st Century influences on students today and provide recommendations for parents as they work with children at home on these concerns. Discussion will primarily include strategies for organization and time-management. Information will focus primarily on grades 3rd-12th grade. One Earth Young Filmmakers Contest – submit now through 1/31/2019! Encourage your child (and friends!) to make a 3 to 8 minute film about one of 6 sustainability topics: energy, food, transportation, waste, water, or open space/ecosystems. They should show a problem with their topic and then a solution. Prizes are $100 for grades 3 to 5, $200 for grades 6 to 8, $350 for grades 9 to 11, and up. In addition, the winners will receive a matching grant to donate to a non-profit that supports the theme of their film. All winning films will premiere at the Gene Siskel Center as part of the One Earth Film Festival in March 2019. I hope you enjoyed the three-day weekend and were able to spend some time hibernating during all the snow and cold weather this weekend. I know I took advantage of the time indoors and spent time resting and recovering in attempt to get back to 100%. Please remain vigilant of student safety during drop off and pick up times. It is important to refrain from the use of cell phones and always be alert and patient during these times. Additionally, please be respectful of the residents who live adjacent to Lincoln by not parking in front of/blocking drive-ways. Finally, please continue to spread the word about the Kindergarten Information night that will be held here at Lincoln on Wednesday, February 6 at 6:30pm. Please see this flyer for more information. Last Chance for Fun Lunch Orders (with late fee) – MIDNIGHT TONIGHT! You can see the full menu and register at the PTO Webstore. A $5 late fee will be applied on all lunches and a $15 late fee on the “Buy All 4 Lunches” option. No orders will be accepted after midnight TONIGHT, MONDAY, JANUARY 21! The first fun lunch of the winter/spring session will be this Friday, January 25. This past Tuesday, Lincoln School was very fortunate to have John Schumacher visit with our students. He visited with the 2nd and 3rd graders and enthusiastically inspired them to read with lively book talks and fun author anecdotes. His energetic and fun presentations included giving away books to both students and staff. In addition, he gave about 30 new books to the library. Everyone had a great time listening to his stories and hearing about the books. Known as Mr. Schu, he is the Ambassador for School Libraries for Scholastic book fairs and spends his days traveling the country to speak to schools, teachers and administrators. Before this role, he spent over a decade as a school librarian in Oak Brook – and in 2011 was named a Library Journal Mover and Shaker. Chess Club – Registration now open! Chess is a lifetime of fun and mental challenge for kids of all ages. This winter, whether your child wants to be introduced to the game or wants to improve their skills, the Lincoln chess club is the activity for them! NO EXPERIENCE NECESSARY! Chess Club meets on the following Mondays from 3:15-4pm: 1/28, 2/4, 2/11, 2/25, 3/11 and 3/18. Registration is now open on the Webstore, capped at 20 kids. Kids should bring a water bottle and nut free snack. Lincoln International Festival – Register to attend starting tomorrow! Please save the date for Lincoln’s International Festival on February 24. Lincoln School will be transformed into countries around the world for one special afternoon! Lincoln students can spend 4 hours traveling to China, India and beyond, dancing, crafting and having fun. Admission will remain $5 per child and will be limited to the first 120 students. Registration will be open on the PTO Webstore beginning Tuesday, January 22! App Development and Coding Club – registration opens Sunday, January 27! 3rd and 4th graders who are interested in creating their own app are encouraged to join our App Development Club! Students will be coding with Swift Playgrounds and they will use the design cycle to create and refine their app prototype in Keynote. We will meet Thursdays during lunch, students should bring their iPad and nut free lunch to Mrs. Mares’s room. To maximize the experience for all kids, this club will be capped at 25 students. If you have questions, please email Mrs. Clasky, claskya@district90.org. Registration opens on the PTO Webstore on Sunday, January 27 at 5pm! Trash Talk: We put it in the bins, the trucks pick it up, but WHERE DOES ALL OUR TRASH and RECYCLING and COMPOST GO?? George Strom from the Roy Strom Company will be at our next Green4Good Kids Club meeting to answer these questions and more! Green4Good Kids Club would like to invite ALL 3rd and 4th Graders to join us. And parents, you’re welcome to come, too. Monday, January 28 from 3:15-4:00pm in the Lincoln Auditorium. Lou Malnati’s – Eat & Earn on Wednesday, January 30, 11am-11pm! 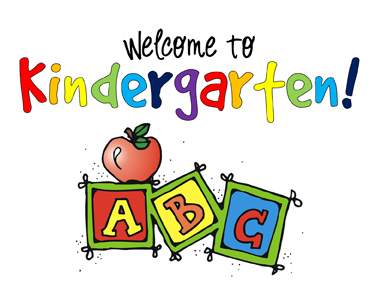 2019-2020 Kindergarten Information Night – Wednesday, February 6! Kids Heart Challenge – February 12 & 13! Lincoln PTO Auction – Friday, March 15, tickets on sale now! The students seem to have settled well into their 2019 routines. Life at school is back on track and we are looking forward to many fun events in the weeks to come: the Science Expo, the Young Author Festival, and the International Festival. Unfortunately, unlike our kids and staff, I haven’t yet had the opportunity to adjust to life at Lincoln in 2019. I’ve spent the past week admitted to RUSH hospital and resting at home from pneumonia and some other complications. It’s been very difficult to be away from school however Mrs. Kopriva, Mrs. Godellas, Mr. Davis in conjunction with the support of everyone on staff has kept things moving along and allowed me the time to recuperate. I am hopeful to return to work sometime this week. Many thanks to those of you who’ve reach out via email, phone and text. I really appreciate all your kind thoughts and well wishes. I hope to see you and your kids soon. Please don’t forget to take some time over the next few weeks to complete the family portion of the Illinois 5 Essentials survey. All teachers and District students in grades 4-8 will be participating in this survey. Your participation in the parent portion of the survey will contribute to a better understanding of the conditions of our schools and guide improvement. Your identity and survey responses will be kept completely confidential and will not be connected to you or your child. To take the survey, please visit https://survey.5-essentials.org/Illinois/ and select the appropriate survey to begin. This online survey can be accessed from a PC/laptop, smart phone, or tablet. If you have more than one child enrolled in a District 90 school, you may take one survey for each child regardless of the school. You can see the full menu and register at the PTO Webstore. First deadline for orders is midnight MONDAY, JANUARY 14th. Late Fee: between JANUARY 15 – JANUARY 20th, we will charge a $5 late fee on all lunches and a $15 late fee on the “Buy All 4 Lunches” option. No orders will be accepted after midnight SUNDAY, JANUARY 20th. The first fun lunch of the winter/spring session will be on Friday, January 25. The fun lunches of January 11th and January 18th were included in the first part of the year. The Walking Club will take a break until Spring. Given the unpredictable weather (it feels below 10 F or the field is muddy when it is nice), we have decided to suspend Walking Club for now. However, we would still like to reach our goal of walking to Canada and you can help! Keep track of the distance you and your kids walk – either to school or to the park or anywhere and you can log it in. Details to follow. Connect 4 Kids is committed to the health and well-being of all our Lincoln school families. Movement is so important for healthy brain function and learning. Click on this video to enjoy a fun song to move with your kids before they settle down to do their homework. Chess Club Registration Opens Soon! Chess is a lifetime of fun and mental challenge for kids of all ages. This winter, whether your child wants to be introduced to the game or wants to improve their skills, the Lincoln chess club is the activity for them! NO EXPERIENCE NECESSARY! Registration will open on the Webstore next Sunday 1/20. Registration will be capped at 20 kids. Kids should bring water bottle and nut free snack. Please save the date for Lincoln’s International Festival on February 24. Lincoln School will be transformed into countries around the world for one special afternoon! Lincoln students can spend 4 hours traveling to China, India and beyond, dancing, crafting and having fun. Admission will remain $5 per child and will be limited to the first 120 responders. Link to register will go live on 1/22. It’s that time again! Please join us Friday March 15 for Lincoln’s annual school fundraiser and auction to support the Lincoln PTO and celebrate our awesome school, staff and kids. We will have a great selection of craft beers as well as wine and heavy hors d’oeuvres. Come early for the open bar from 6:30-8:30. Cash bar from 8:30-9. There will also be a live and silent auction to benefit our Fine, Fine School. All proceeds from the event will help support PTO funded programs, school enhancements, and various other teacher needs. Event Details: Friday, March 15, 6:30-9PM. Lake Street Kitchen, Oak Park. March Madness on TV! Ticket prices are $60 per person or $100 per couple (purchase by midnight on 3/14). We highly recommend purchasing tickets in advance. 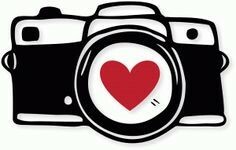 If interested, please visit the website: www.gotrchicago.org and register by Feb. 14. Any questions, please contact Kristin Bailitz at kristinbailitz@gmail.com. Lincoln School Science Expo – volunteers needed! We still need volunteers for the Lincoln Science Expo on the evening of Thursday, January 31st – sign up on the PTO signup genius. Thank you! Second grade parents, please remember to pay your child’s $12 harmonica class fee on the PTO webstore if you haven’t already done so. This is a mandatory class for all 2nd graders, who be learning to play the harmonica in January. The price includes the price of one harmonica and the music book. Thank you! 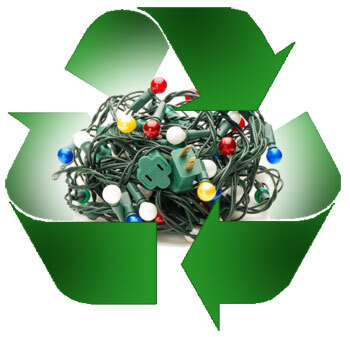 RECYCLE YOUR HOLIDAY LIGHTS – Now through January 15! Collection box on Central Avenue by River Forest Village Hall (under the train tracks). You can recycle all working and non-working holiday lights including italian mini-lights, traditional lights, rope lights, LED lights, and extension cords. See attached flyer for more information! One Earth Young Filmmakers Contest – submissions accepted now through 1/31/2019! Happy 2019!! The mid-winter break was in high demand for all, and I’m hopeful the temporary pause from routine provided everyone the opportunity to recharge for what promises to be a year of exciting new adventures at our Fine Fine School! Despite what will likely be a sluggish start to the week for most of us, once we get going, 2019 looks to be a busy time at Lincoln and District 90. Again, welcome back to school! I look forward to welcoming your kids back to Lincoln tomorrow. Please never hesitate to reach out if there is anything I can do to support your family. Happy New Year! Join us for the PTO meeting this Tuesday, 1/8 at 8:45am in the multi-purpose room. All are welcome! Walking Club will resume this Wednesday, 1/9 with a new goal to walk to Canada! Each Wednesday on the Franklin side from 8 am until the first bell, walk laps before school, see a few friends and make new friends! It’s a great way to start the day. We will walk when the air temp feels like 10 degrees or warmer and it’s not muddy out. We are looking for a few volunteers. This is a super easy way to contribute with the commitment being just 25 minutes at drop off. If interested, please sign up via sign up genius (Link here) or contact Laura Haussmann laura.haussmann@gmail.com or Sangeetha Madhavan sangs50@gmail.com. Connect 4 Kids is committed to the health and well-being of all our Lincoln school families. Movement is so important for healthy brain function and learning. Here’s an article that shows just what we mean! Winter Tennis – still a few open spots! 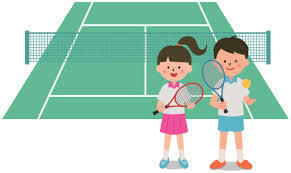 Tennis will be taught by Mirka and Luka Bagos, professional coaches of Play For Lot, outside on the Franklin-side playground (weather permitting). If it’s too cold, tennis will meet in the gym. The program welcomes children of all skill levels. 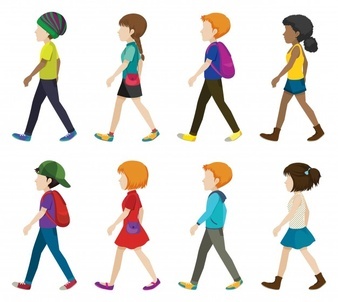 Children need to wear gym shoes and comfortable clothes. No racket needed. Sign up now on the PTO webstore! 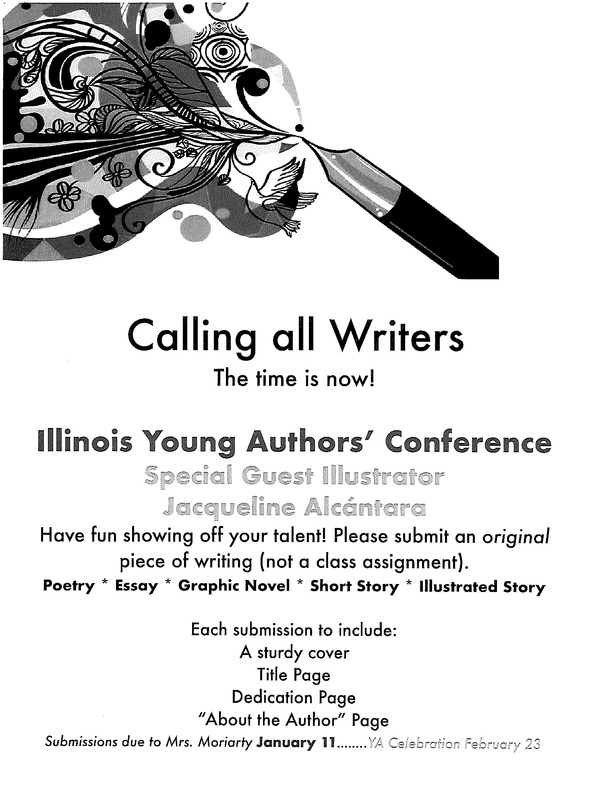 Young Authors 2019 – calling all writers in grades 1-4!! Come to Wonder Writers any Friday morning or just ask Mrs. Moriarty for more information.